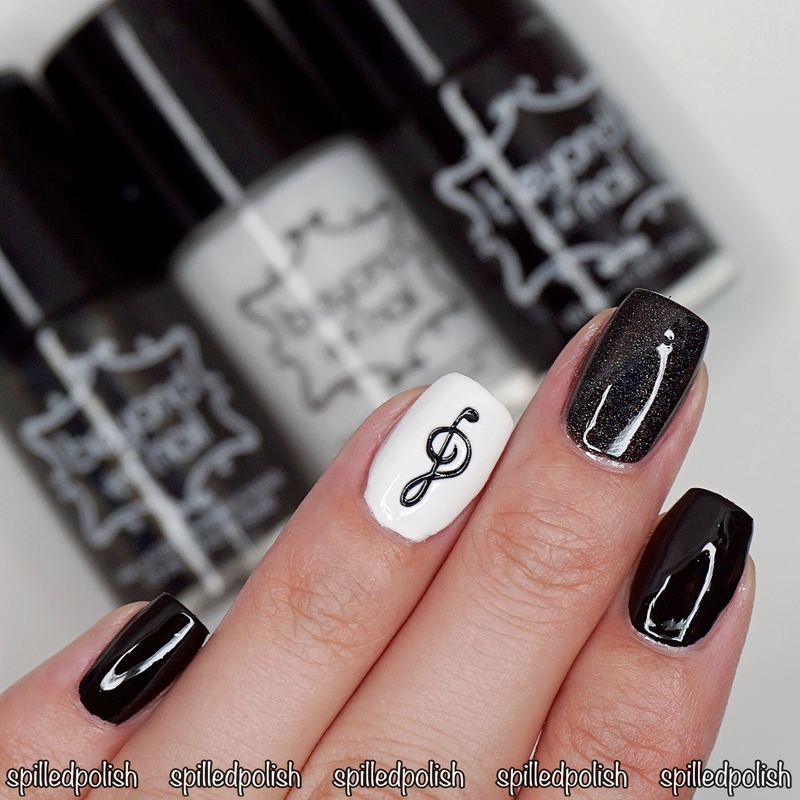 It's day 7 of The 31 Day Nail Art Challenge and today's challenge is Black and White Nails! I painted my index finger and pinky with two coats of Beyond the Nail - Deep Black. 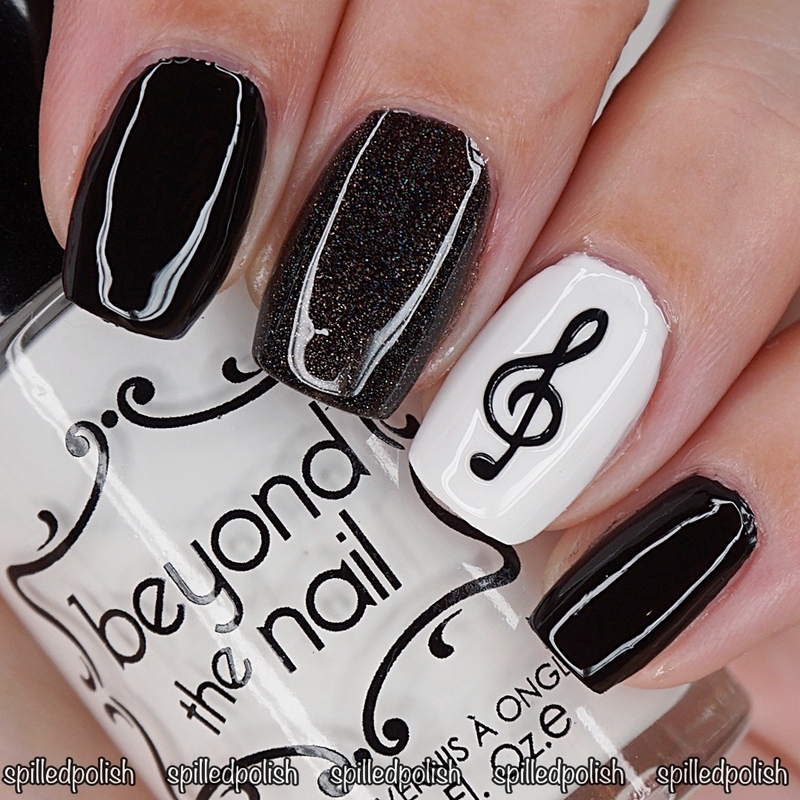 On my middle finger, I used three thin coats of Beyond the Nail - Black Hole. 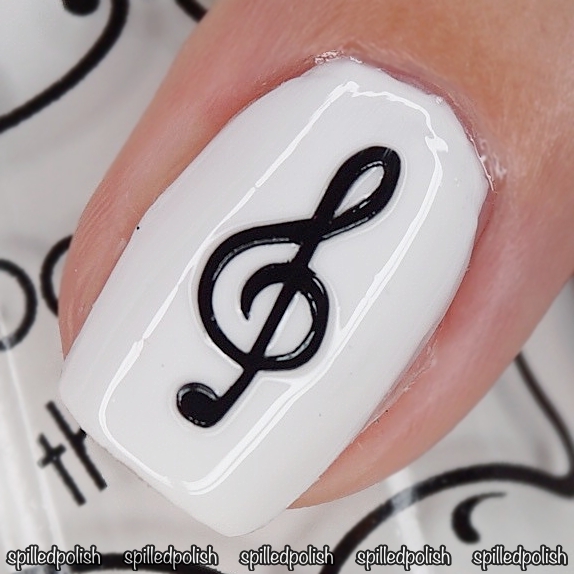 On my ring finger, I painted two coats of Beyond the Nail - Bright White and placed a Music Note Nail Decal on top. I topped each nail off with a layer of PRO-FX - Quick Dry Topcoat.